With the season of spring cleaning upon us, we figured we’d do a little research on unique ways to tackle closet organisation. Though Marie Kondo seems to have quite a hold on the decluttering market lately, we found some unexpected ideas for tidying up that you probably haven't heard before. 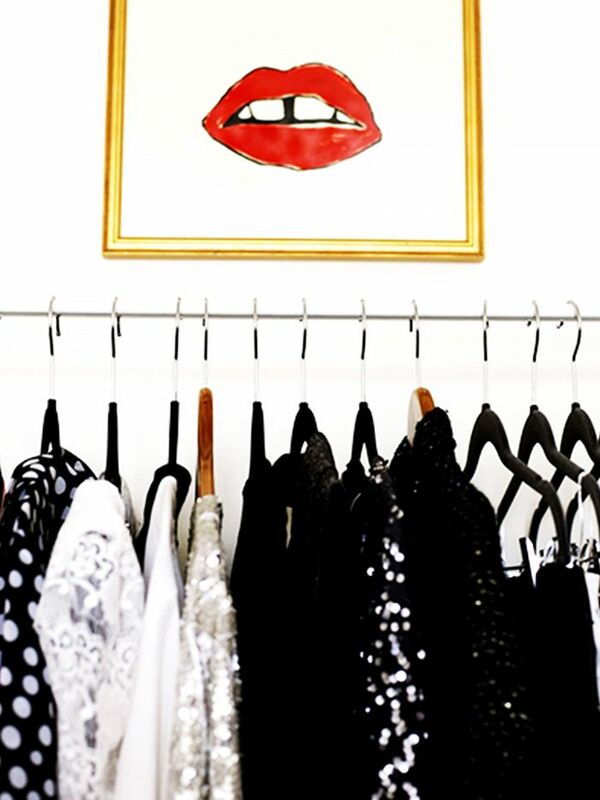 Scroll down to find out our top tips to whip your closet into shape. 1. Try the ribbon method. Tie a ribbon to your closet rod on one side of all of your clothes—all the way to the left or all the way to the right. As you take out clothes to wear them, put them on the other side of the ribbon. After a couple months, you’ll be able to recognise the items that you don’t wear (the ones that haven’t moved to the other side of the ribbon), and thus which you should give away. This is similar to the turning hangers backwards and forwards method, but seems easier then having to worry about which way your hangers are facing. 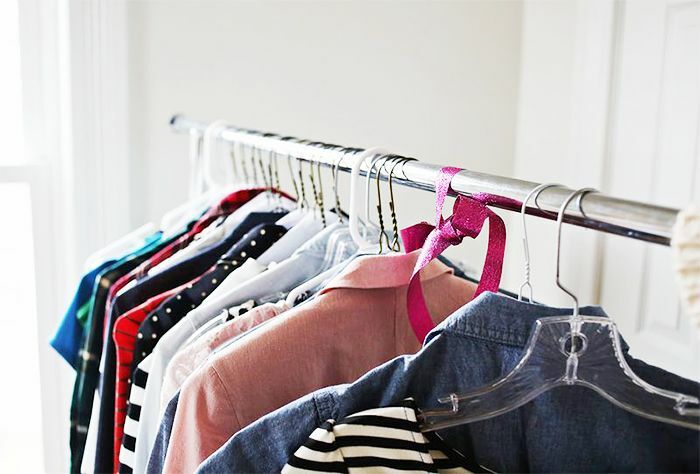 Bonus tip: As you move pieces to the other side of the ribbon, keep them merchandized—put jackets with other jackets, dresses with other dresses, etc.—so your closet doesn’t feel too jumbled. 2. Try the out-of-sight, out-of-mind method. If you have certain items that you know you never wear, but you can’t quite part with, put them in a trash bag in the back of your closet. After several months, get rid of all the clothes that you’ve forgotten about. If you remember an item and fish it out to wear it, it’s a sign you should keep it. 3. Try the set-number-of-hangers method. This approach is a bit aggressive, but if you really want a pared-down closet, consider limiting yourself to a certain number of hangers. Once you run out of hangers, you’ll know it’s time to clean out your closet. 4. Try the tag method. Many girls love to do a tag-snipping ritual after shopping, but try to leave the tags on until you actually wear the item. Next time you clean your closet, you might find several unworn items with the tags still on. If it’s been several months since the purchase date and it still has the tags on, consider getting rid of it, as you’ll likely never wear it. 5. Try the one-in-one-out method. Just as the name implies, if you bring something into your closet, you have to part with something from your closet. So if you buy a new pair of jeans, donate an old pair you don’t wear anymore. It’s a fairly strict method, but you’ll never have to deal with an overflowing closet again. ?Watch organising genius Marie Kondo fold the perfect sock drawer below!